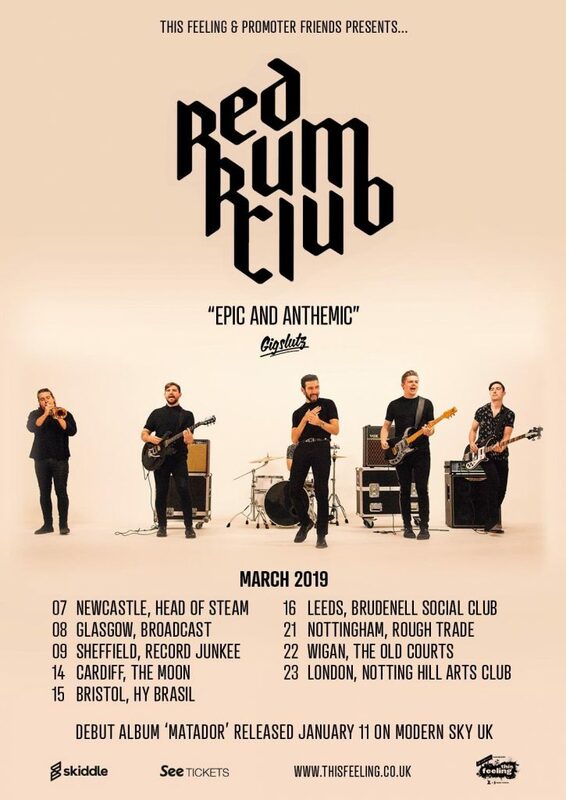 The legends at RADIO X have added RED RUM CLUB‘s ‘Would You Rather Be Lonely?’ single to the network national playlist this week. The track is taken from the debut album MATADOR officially released on JAN 11th 2019 via MODERN SKY UK. Check it out. The band are also touring in March in association with the legends at THIS FEELING.